What Categories Do You Support? 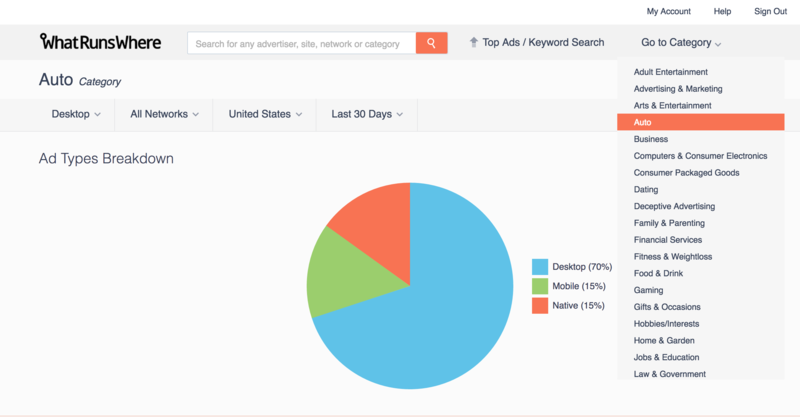 WhatRunsWhere categorises all advertisers into 32 categories. You can view all 33 categories from our Category Explorer. In the top right-hand corner, click on "Go to Category". This will bring a drop down to show you all 32 categories you can view on WhatRunsWhere, scroll down on the explorer to see more. You can also view all 32 categories listed below the screenshot on this page.